The Governing Board of the Institute of Diplomatic Practice and Development Policies held its Inaugural Meeting chaired by Ambassador James Victor GBEHO who was nominated and accepted by the Board as its Chairman in the afternoon of Thursday, 21June, 2012 at the Institute in East Legon , Accra. The Chairman, Ambassador J. V. GBEHO, a seasoned diplomat, is a Former Permanent Representative of Ghana to the UN; Former Minister of Foreign Affairs of Ghana and the immediate past President of the Ecowas Commission. Other members of the Board are:Dr Mrs Mary Chinery-Hesse , the First African Female Resident Coordinator of the UN System, former Deputy Director-General of the International Labour Organisation [ILO], Chief Advisor of the President of Ghana from 2006 to 2009, current Interim Chairperson of the five member AU Panel of the Wise and an ardent advocate on African economic and social imperatives; Dr. Lawrence Victor Essien , Professor of Law, Fordham University, New York and Board Member of the National Council of Ghanaian Associations in New York;Ambassador Francis A. Tsegah, Former Ghana’s Ambassador to the Kingdom of Spain and current Senior Research Fellow at the Centre for Democratic Development (CDD), Accra;Mrs. Ama Kumi Thomas: Senior Attorney in Los Angeles, US and Secretary to the Board;Ambassador Nana Bema Kumi, Executive Director of I – 2DP and Former Ghana’s Ambassador to the European Union, the Kingdom of Belgium and the Grand Duchy of Luxemburg. 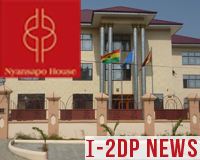 In line with its tradition since 2012, the Institute of Diplomatic Practice and Development Policies (I-2DP), organized a diplomatic training programme for twelve mid-career officials in Ghana from 22nd to 26th February, 2016. The programme, which was laced with simulation exercises and group work presentations, placed particular emphasis on the major feature of diplomatic practice which is the art of negotiation and the related conference organization and protocol. It also updated participants’ knowledge in international economic relations, particularly, international development cooperation with emphasis on how Africa’s 2063 economic transformation agenda feeds into the Sustainable Development Goals adopted by the UN General Assembly in November, 2015. Climate change challenges and the importance of private sector involvement in the realisation of Africa’s economic transformation were highlighted with recommendations on alternate approaches which participants may consider at their respective work places. In line with its tradition since 2012, the Institute of Diplomatic Practice and Development Policies (I-2DP), an applied policy research institute as well as a growing centre for capacity development of African officials who represent their governments or organisations at international meetings began its courses in Diplomatic Practice and International Development Cooperation at three levels, namely, mid-career, senior and young officials levels, with the first one in February, 2015 which was for Mid-career Officials. The second of the 2015 Training Programs which is for Senior Officials, is scheduled from 20th to 24th April, 2015 and will place emphasis on the art of negotiation, a fundamental requirement in all areas of diplomatic practice. Public speaking and speechwriting will feature prominently. The course also aims at updating participants’ knowledge in international economic relations, particularly, international development cooperation with emphasis on the Post 2015 Development Agenda. The importance of private sector involvement in the realisation of Africa’s 2063 Development Agenda will be highlighted with recommendations on alternate approaches which participants may consider when called upon to advise on such matters upon their return to their respective work places. Topics on Migration Trends in Africa and Understanding the Financial Markets will also be addressed. All courses are residential and of five working days duration. Seventeen (17) African Union Officials successfully completed the above-mentioned programme conducted by the Institute of Diplomatic Practice and Development Policies (I-2DP) in Nazareth, Ethiopia, from 24th to 28th November, 2014. The resource persons for the training programme were Ambassador Nana Bema Kumi and Mr Alexander Kwame Archine, both of I-2DP in Accra. 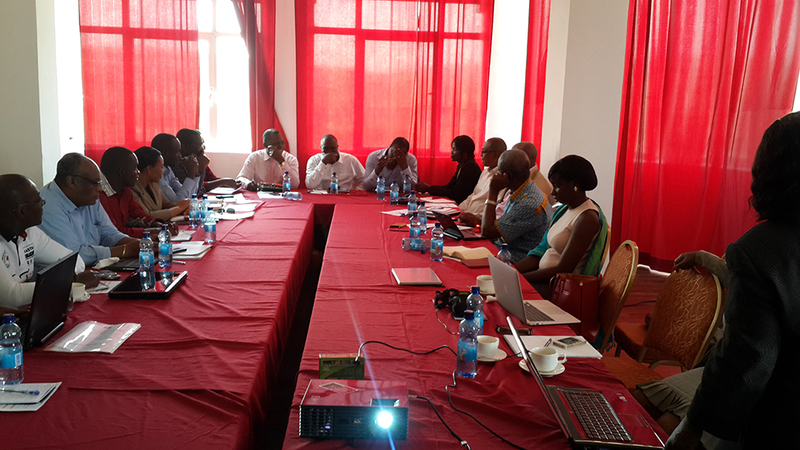 The four day intensive programme focused on Partnership Management and Coordination. 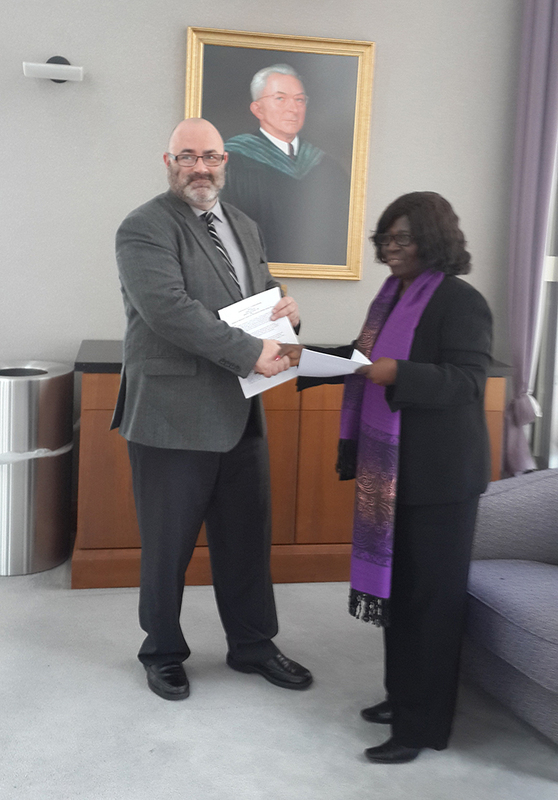 It was carefully conceived to give full insight into how to negotiate and implement partnership agreements through knowledge-based management and coordination and was guided by the different needs of various units within and outside the African Union which relate to the Partnership Management and Coordination Division of the AU Commission. Emphasis was placed on the prominence of development cooperation among nations and regions and the increased role being played by international organisations. The related diplomatic practice, such as negotiation and communication skills; the knowledge, skills and approach required to ensure successful implementation of such partnerships, including strategic thinking, leadership skills and attention to organisational culture with significant doses of realities of globalisation and more especially, the inevitable consequences of other partnerships of current AU Partners was injected into the course to help enhance participant’s awareness of the constantly evolving international environment and how to manage the accompanying risks.